Who influences and inspires you? 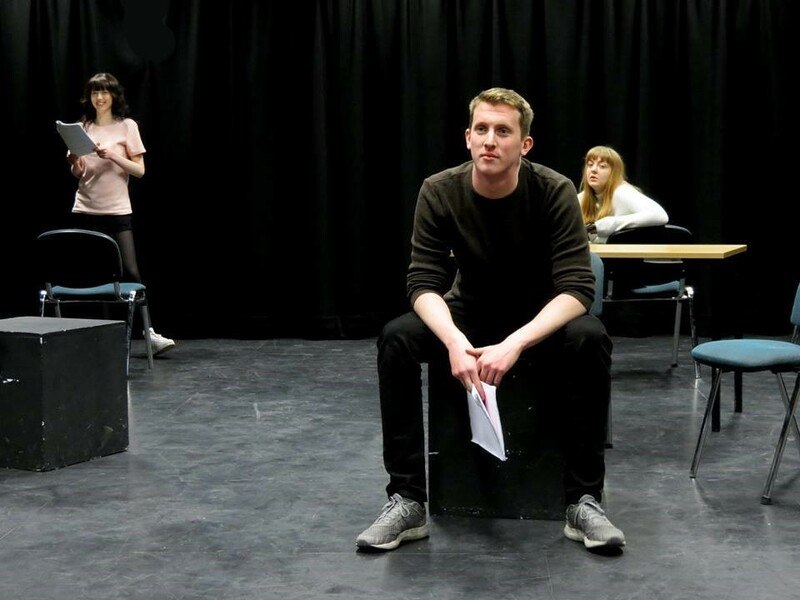 Blahs Associate Mel Purdie talked to Robert Midgely, an 18-year-old Theatre & Performance student at Leeds University about the influence of his drama teacher, Mr. Chipp, and how the Blahs have inspired his interest in Theatre in Education. So Robert, tell us a bit about what you’re interested in and how you know the Blahs? My love of drama comes from my secondary school drama teacher Mr. Chipp. He helped me develop my skills and understanding, and pushed me to learn more. I always looked forward to my drama classes as they were the most fun. I’m interested in history but more focused on physical theatre and Theatre in Education (TIE). My first experience of the Blahs was in Y10 when I saw Hide & Seek. It was my first, proper introduction to TIE – and I loved it! It was a totally new type of theatre and it left me wanting to know more. The following year I saw the Blahs perform Raft of Medusa – my all-time favourite TIE performance. It focuses on Gericault, the artist who painted the Raft of Medusa. The painting is pretty impressive, but the story behind it really took me by surprise. I didn’t understand classic art before. The show used real facts to animate a story that unfolded over 200 years ago and was commemorated with a masterpiece painting. Seeing the production had a long-term effect. Every time I see that painting now I associate it with the performance. It sounds like Raft of Medusa made a lasting impression on you. Tell us more about that. I remember the story so profoundly that I’ve even based some of my own work on it. In Y13, we decided to create our own interpretation of Raft of the Medusa because it had such a rich storyline. We changed and added bits to the narrative, and performed it to the Y8’s and Y10’s. I played Gericault and I remember thinking I wanted to be just, like, him! When you get the audience talking, participating, involved with you; those moments when you have to improvise and read the room – that’s fantastic. Instead of entertaining a passive audience, you are in control, making sure that everyone is having a good time. So the Blahs gave you your first taste of Theatre in Education. How was it different? Is it because it was participatory? Having an external professional company coming in was great. Everyone loves seeing a performance. Once I saw a professional TIE performance, I was left thinking ‘that was really cool. I want to see more because it was so engaging.’ The participatory part was what I loved most. It encouraged me to see more physical theatre and TIE performances. In Y12, Anthony Haddon, the Blahs founder, ran a workshop with the drama students at our school. It was based on the story of Hansel & Gretel. We listened to the story, designed and created our own interactive piece. Tell us more about that. What did you enjoy? What did you learn from it? The workshop brought home the realities of working as an artist. We talked about how artists make a living from performing. Ant showed us how to apply our ideas to teach kids about specific themes. It was an invaluable opportunity to meet the man behind the scenes, who creates and directs the shows. At the time, I wanted to start a theatre company but didn’t know how to go about it. Ant gave us a brief history of how he set up the company, which was really cool! He explained what the Blahs do in different schools and performance spaces. How they look at the curriculum and then create a performance to help learning. And our teacher, Mr Chipp, enjoyed hearing Ant, who has been in TIE for years, explain to us how we can take a story and create an educational, interactive show. I wouldn’t have taken drama without him. In year 9, I didn’t have much confidence – I was shy and easily upset. Mr Chipp did a one-hour taster session for GCSE Drama in our class, and it was fantastic! He approached me later and said, “you should do drama, you have an aspect and understanding of it.” So I took the class. After GCSE Drama, I carried onto BTEC. Every week we looked forward to working with Mr. Chipp. It was always fun, and he is so inspirational. He’s always up for a conversation. He introduced me to what theatre can look like, always giving us opportunities to reach a higher level. Do you think the Blahs helped inspire you to pursue a career in the arts alongside Mr. Chipp? They’ve given me an understanding of drama which has opened a new career path for me, which is TIE. Working with them and seeing their performance, I’ve begun to understand how to create TIE work. Mr. Chipp was the main gateway, but him bringing in companies like the Blahs contributed heavily to my understanding of my practice. I’m considering either becoming a drama teacher or setting up a company, or pursuing TIE as a career. It’s not about the money for me, it’s about the rewards that you get from seeing kids improve. So yes, the Blahs have influenced my drama career path. Thanks Robert for taking the time out of university for this interview, and all the best with your studies! We look forward to hearing from you again as your career progresses.